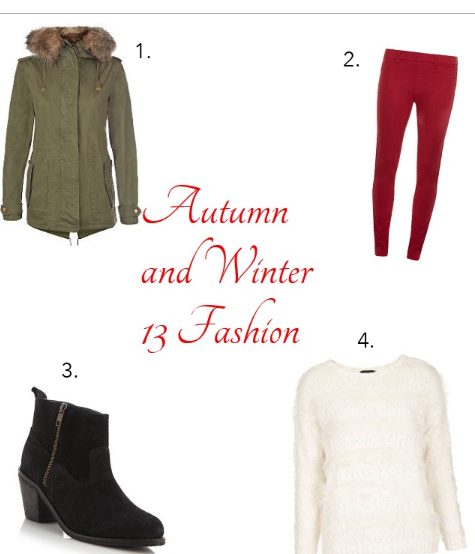 Autumn and winter are my favourite seasons the fashion is lovely and you can be as creative as you like! 1. This Coat is from New Look and costs £44.99 this coats goes with just about anything its also great in cold weather as it keeps you nice and snug! 4. And one of my favourite products is the Topshop Knitted stripy fluffy jumper it looks great with simple jeans and boots or you can wear it for a special occasion I wouldn’t be without my jumper this winter I love the feel of it, its so fluffy and warm which is great for cold days! What do you like to where in the autumn/ winter? Do you have any of the above? Let me know below!